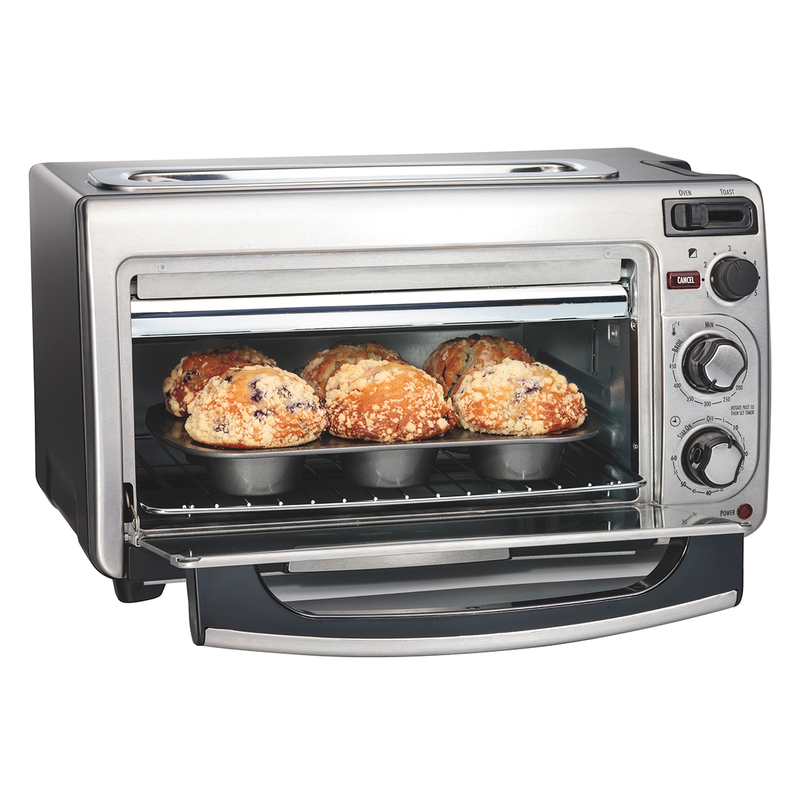 Toast, bake and broil in less space. 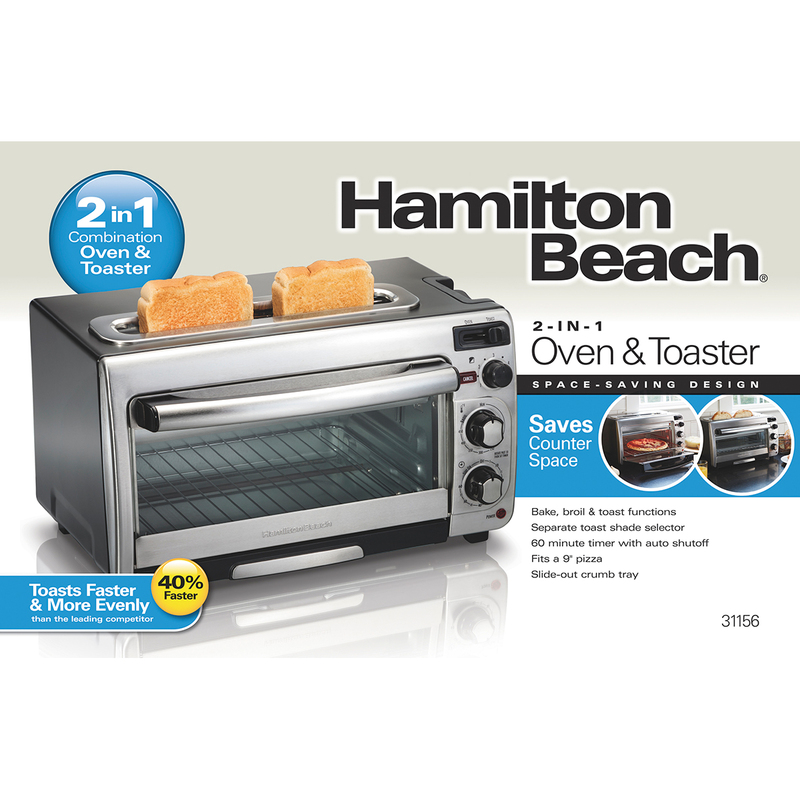 Unclutter your counter with the Hamilton Beach® 2-in-1 Oven and Toaster. 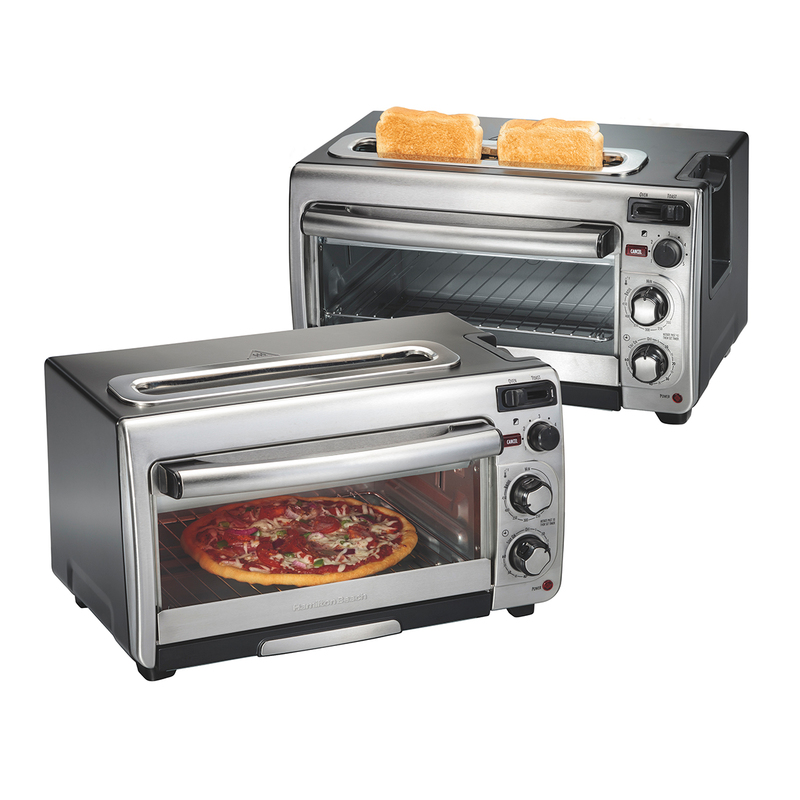 This unique combo lets you cook personal-sized pizzas with a tender, crispy crust and toast bread evenly in 40% less time than a traditional toaster oven. 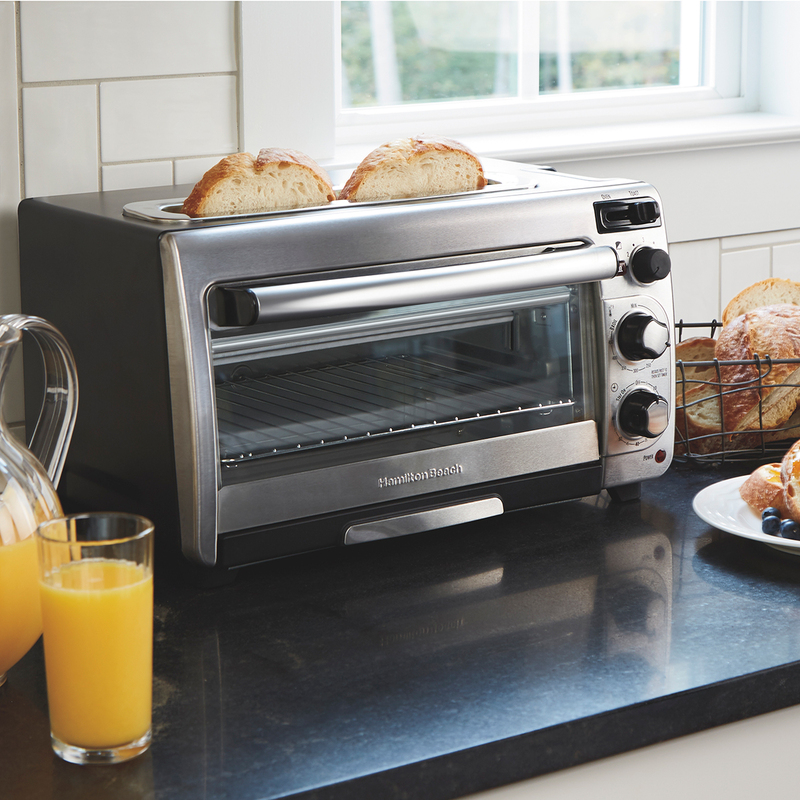 With the simple slide of a lever, switching from the extra-wide slot toaster to the spacious oven is easy, making it perfect for the morning breakfast rush or busy weeknight dinner. 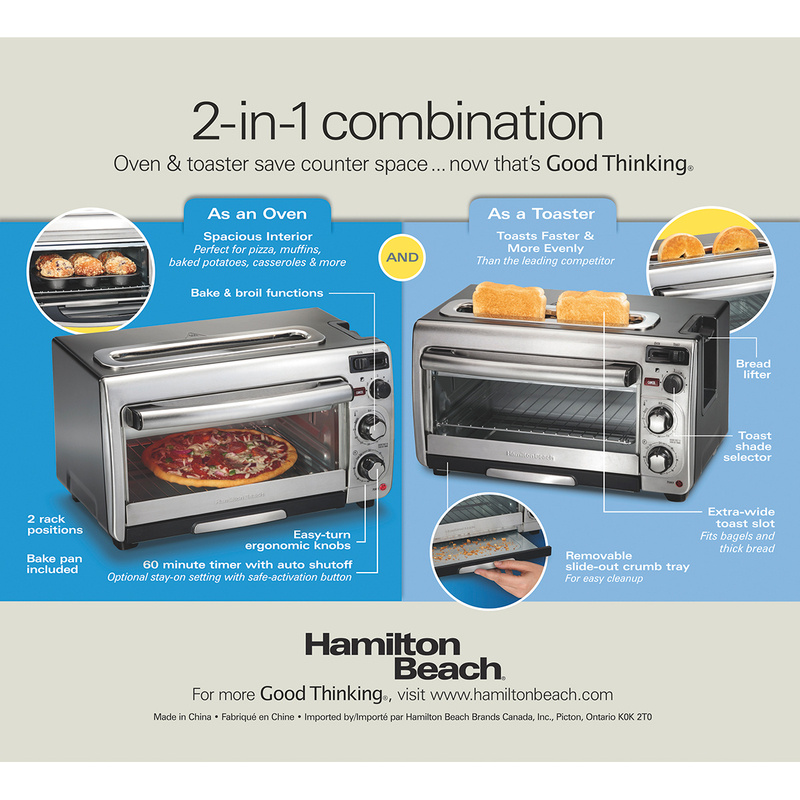 Bake, broil or toast – this 2-in-1 appliance gives you the flexibility to cook a variety of foods. Set the temperature and timer to your exact specifications using the easy-to-turn knobs. The auto shutoff gives you peace of mind that your food won’t overcook once the time is up. Or use the stay-on setting for batch cooking and more. And you don’t have to turn the oven upside down to remove crumbs – it slides out easily from the front. Do more in less space. 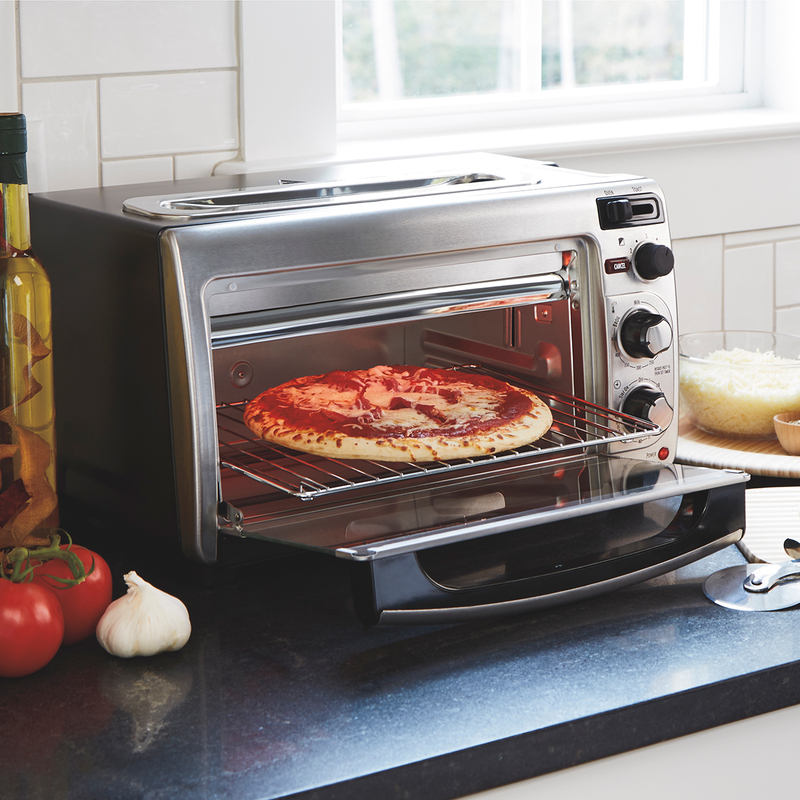 Bake, broil and toast in one place by easily switching cooking modes with the slide of a lever. 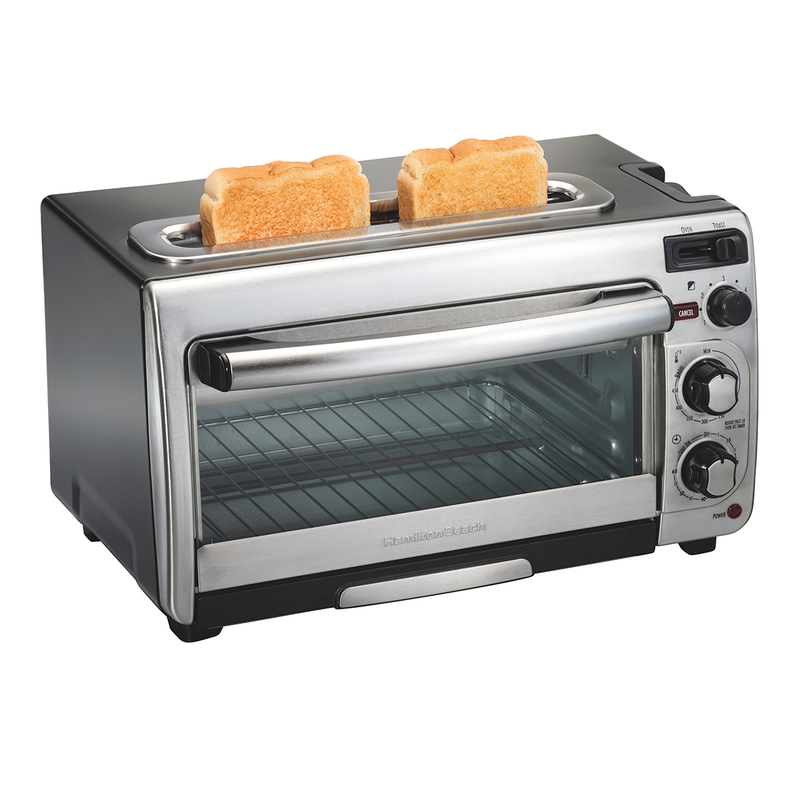 The 2-in-1 toasts breads 40% faster than the leading toaster oven, which means you can get your sliced bread warm and crispy, quick. The long, extra-wide toast slot gives you the flexibility to fit larger pieces of bread like bagels and artisan breads. The bread lifter makes getting your toast out a cinch. Get even results with the separate toast shade selector. With more control, you can reach the perfect level of golden brown toast. With 2 rack positions and a large interior that fits a 9” pizza, this oven is perfect for making muffins, baked potatoes, casseroles and more. Set the timer up to 60 minutes with peace of mind. 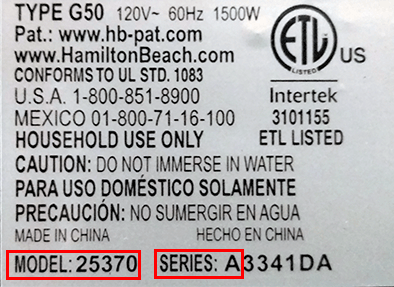 The auto shutoff turns the oven off when baking time is reached. There’s no need to worry about overcooking, or leaving the oven on. Make multiple batches of chocolate chip cookies, or leave your sheet pan supper in until you think it’s perfectly roasted, with the stay-on setting. 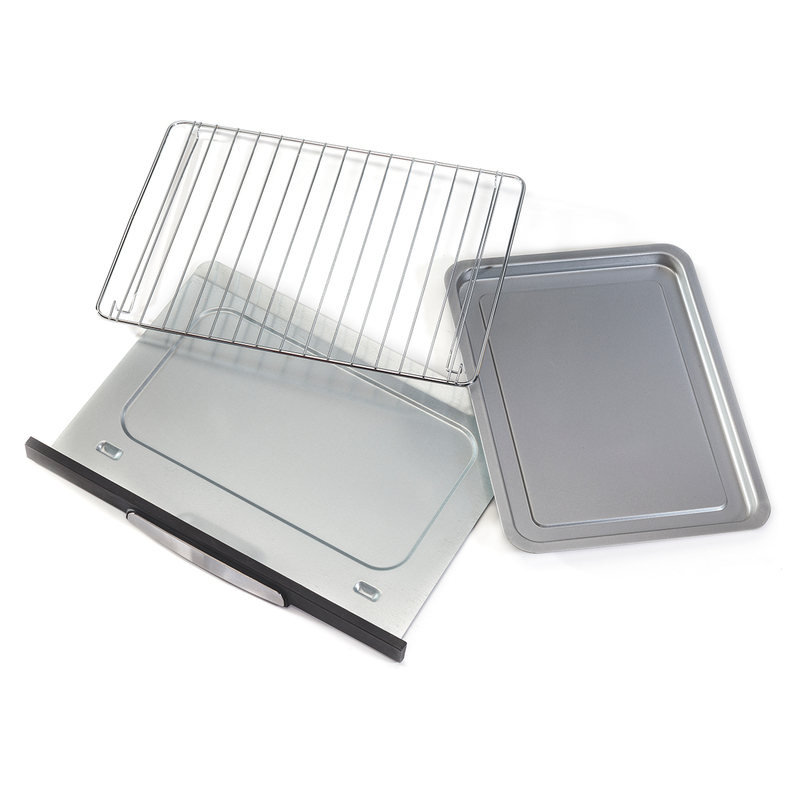 The crumb tray easily slides out from the front of the toaster oven, instead of the bottom, making cleanup simple while keeping crumbs off the countertop.